The Q360 In-Floor Cleaning System is the evolution of pool cleaning technology, nothing currently on the market comes close to the efficiency of the Q360 system! 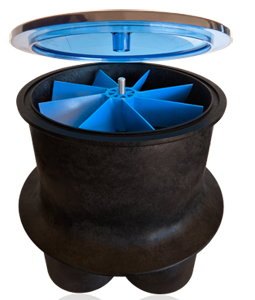 With less moving parts overall and a revolutionary valve design which propels water more effectively through the system, the Q360 produces cleaning results unmatched by any other pool cleaning method. Blue Square helps overcome the number 1 reason that deters people from purchasing a swimming pool - perceived maintenance hassles. Simplify pool ownership for your customer by using an easy-to-install Q360 In-Floor Cleaning System by Blue Square. HornerXpress Worldwide is the exclusive worldwide distributor for the Q360, you will not be able to find this anywhere else! For additional information and product videos, please visit our Q360 In-Floor Cleaning System webpage, stop by our booth, E557 in Pavilion 3, at Piscina BCN in Barcelona or contact your Export Manager.